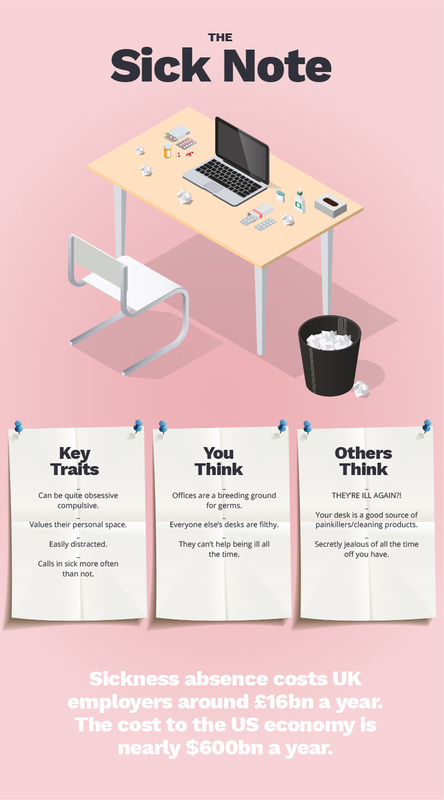 57% of office workers admit they have judged co-workers by the state of their workspace, and 50% have been ”appalled” by the state of a colleague’s desk. 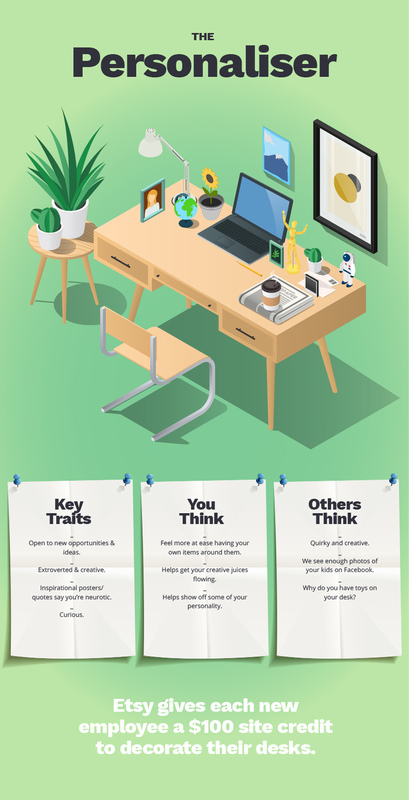 Read on to find out what your office desk says about you, and let us know in the comments if it’s accurate! Employees who have cluttered desks are said to be extroverted, friendly and welcoming of colleagues. They are also found to be more creative than their tidier co-workers. However, messy people are also less productive than others, since more time is spent on finding things than actually doing things. At the other end of the clutter spectrum is the people who absolutely have to have a tidy, minimalist, mess-free workspace. You won’t find much on their desks besides the essentials, like keyboard, mouse, maybe a notepad. Such people are found to be less creative than their messy colleagues, and are said to lack creativity or personality in their work. But of course, there are many exceptions. On the other hand, people who prefer minimalism are conscientious, cautious and disciplined, they like planning and structure. 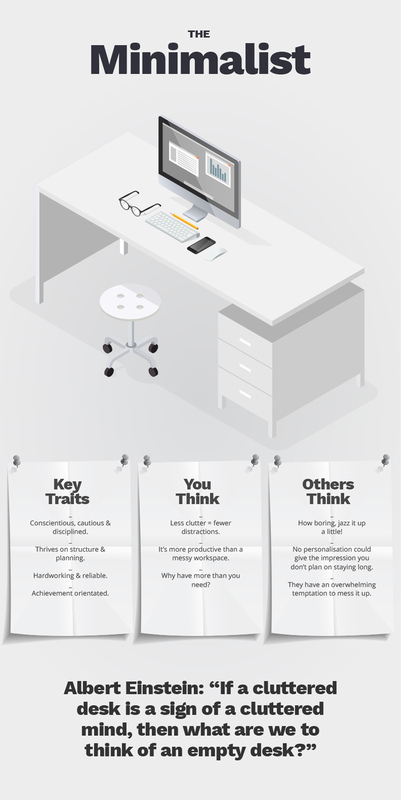 Besides, employees with tidy desks are probably the most reliable people in the office – they have high standards and always get their job done on time. Honestly, how often to see this guy at work? There are some in the office who will come to work with both legs broken. And then the one who calls in sick because he or she feels a bit sickly or just tired. On this desk, you’ll find a whole pharmacy’s worth of medicines, tablets and ointments. No need for the office first aid kit if you know this guy here! These people are easily distracted. Besides, being off ill a lot, they’re likely to be always behind the schedule and spend more time on catching up on tasks than doing the job. They can also be quite obsessive compulsive in their behavior, particularly if they’re concerned about getting ill. This guy’s desk looks like a Best Buy store where you can find every tech gadget and wire possible. Their desks might be a bit of a mess, and similarly to their cluttered desk colleagues, these people are creative and friendly. They are also curious, compulsive and eager to experiment. However, managers might find it a bit difficult to work with these techies, since they prefer to do things in their own time. So, while they may have some outside-the-box ideas, it might take more time than expected to see these ideas fully come to life. Some people like to inject a little of their personality into everything, and this includes their office desks. Those who personalize their desks are said to be very creative and extroverted, as well as being open to new ideas and opportunities. Co-workers love these guys, since they seem as nice as their desks. Many personalized items also show they are comfortable in their job and hopefully aren’t looking to leave any time soon. However, they may also be a little neurotic at times, especially if they use motivational quotes and images for inspiration. Did you find your desk between these five? What does your desk look like? This post was written by Chris Thomson. 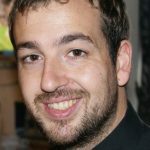 Chris is a digital marketing manager and freelance writer, covering all sorts of topics from movies to productivity. He likes to think his office desk is tidy and minimalist, but in reality it’s a complete mess. I’ve been looking into ways that I can make my desk better at work, and I think that the techie style you talked about would be a good goal for me! I like how you talked about being able to do things in your own time as this kind of person, and I think that part of that would be being comfortable. I’ve heard about varidesk options and how you could use them to adjust the height and comfort of the desk, which is something that I think I would love to have for this techie style! Thank you! 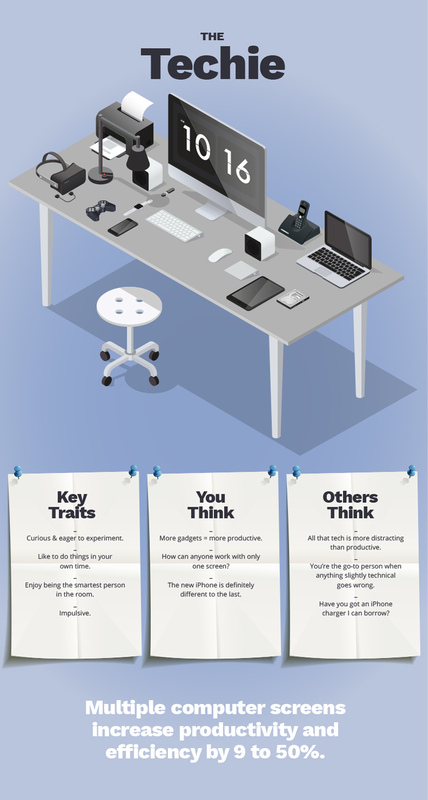 It’s interesting when you said that people with cluttered desk are more likely to be extroverted. I’m that kind of person I guess, I will always forget where I placed my things. Maybe the other reason behind is that my desk is a little bit small than usual. Perhaps, if I consider getting a new desk space, my things will be a bit organized.